Tryouts for our 2019/2020 season have been completed however some teams are still looking for players. 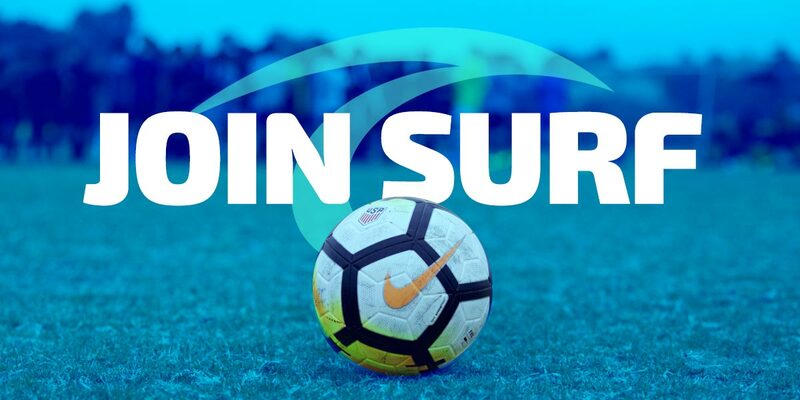 If you’re interested in playing for San Diego Surf SC, please contact the age-appropriate coach. If you’ve been instructed to register prior to your evaluation session, click here. Surf Soccer Club is consistently ranked among the top clubs in the nation in terms of the performance of our top teams, but we believe the strength of our club comes from our focus at every level on the development of your child’s physical skills, emotional maturity and sportsmanship. We believe that participation in sports as a whole, and soccer specifically, can play an important role in the development of your child into a confident and respectful young man or young woman. If your child is serious about soccer, we can provide them the best coaching, facilities and opportunities to allow them to reach their full potential.